I have always been fascinated by the process of creating a portrait. As a child, I used to watch my artist neighbour turn a blank sheet of paper into a moving rendition of her sitter with what seemed to me to be a few strokes and smudges of pastel. I loved her expressiveness and the life that jumped off the page. After a few unconvincing attempts to replicate her efforts, I abandoned the idea of ever being able to draw and instead became a lawyer. As one does. In 2006 my interest in drawing was reinvigorated by some incredibly supportive artist friends, particularly friend and mentor, Enid Ratnam-Keese. Inspired by the creativity around me, I joined a life drawing class and haven’t looked back. 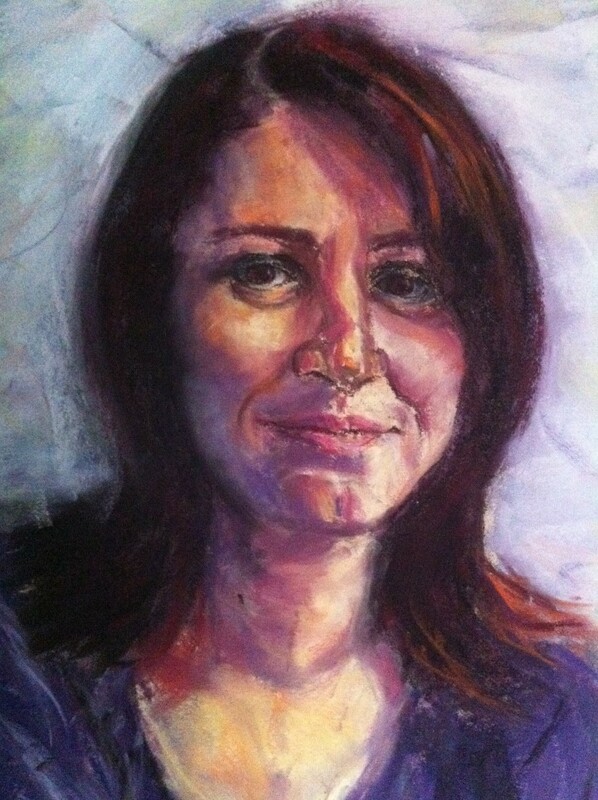 During 2010 & 2011 I completed (and thoroughly enjoyed) the first year drawing and painting components of the Diploma of Fine Arts at Meadowbank TAFE. Sadly, my paid work has had the temerity to intrude on my time and I have had to suspend my studies. To keep my skills fresh, I join Sydney Community College classes when I can. I have also participated in a number of intensive portrait workshop weekends with artist David White. I prefer portraits and the figure as subjects and would describe my style as loose and expressive. I love all faces, from the cherubic wonder of the very young to the undulating landscapes of the very old. I am particularly drawn to faces full of character and have included some of my favourite character-ful faces in my Gallery. Thanks for visiting – I hope you enjoy what you see!